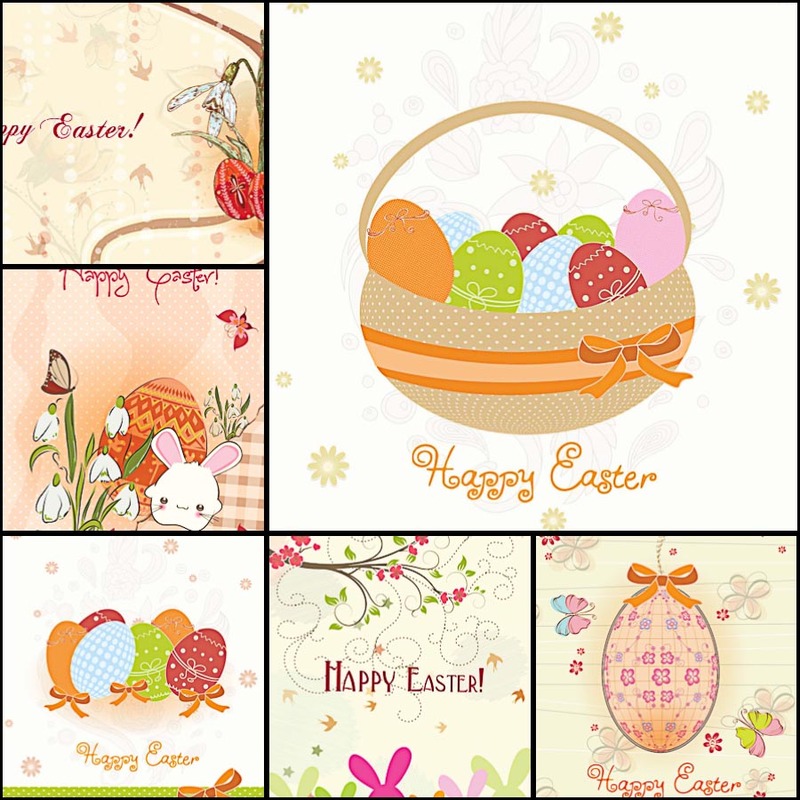 Set of 6 beautiful vector decorative Easter card templates with styled ornate Easter eggs, basket and ornaments. Free for download. 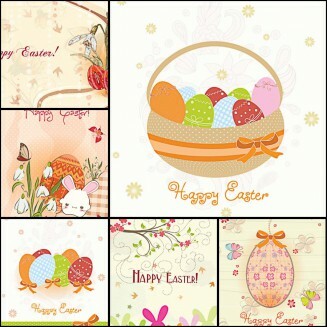 Tags: background, basket, bunny, cute, decorative eggs, Easter, pastel, pattern, postcard, rabbit.